Château Baccarat set revolutionises the art of wine-tasting to reveal better than any other the opulence of wines and spirits. 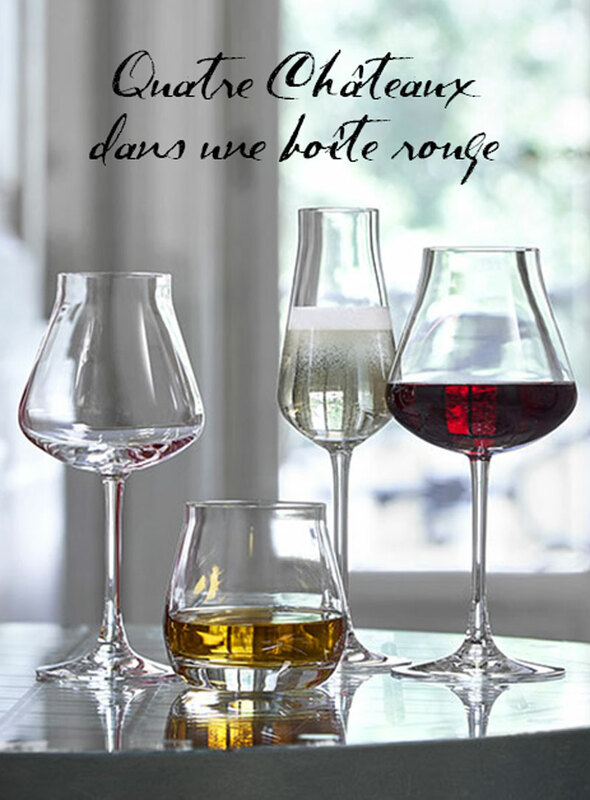 The ideal gift to begin a first collection of Baccarat glasses. Château Baccarat Dégustation is developed in collaboration with celebrated wine expert Bruno Quenioux. The bowl of each glass, both rounded and bowed, preserves the harmony of aromas and the condensation of alcohol: subtlety wins over potency to enhance the act and the art of tasting. Featured in the emblematic red box, the set of 4 glasses are the perfect companion for exceptional moments. A champagne flûte for the more sparkling occasions, two wine glasses to honour every vintage, and a goblet to expose the very essence of spirits.